Tres Hermanas Farm is a pesticide-free operation that grows summer crops like eggplant, tomatoes, peppers, okra, turnips, carrots, African eggplants, amaranth, and more. 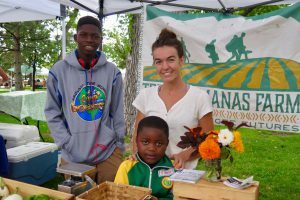 Stay tuned for a farm stand in 2019! Get involved: Visit the farm on Friday and Saturday mornings, attend a refugee-run cooking class, or volunteer. 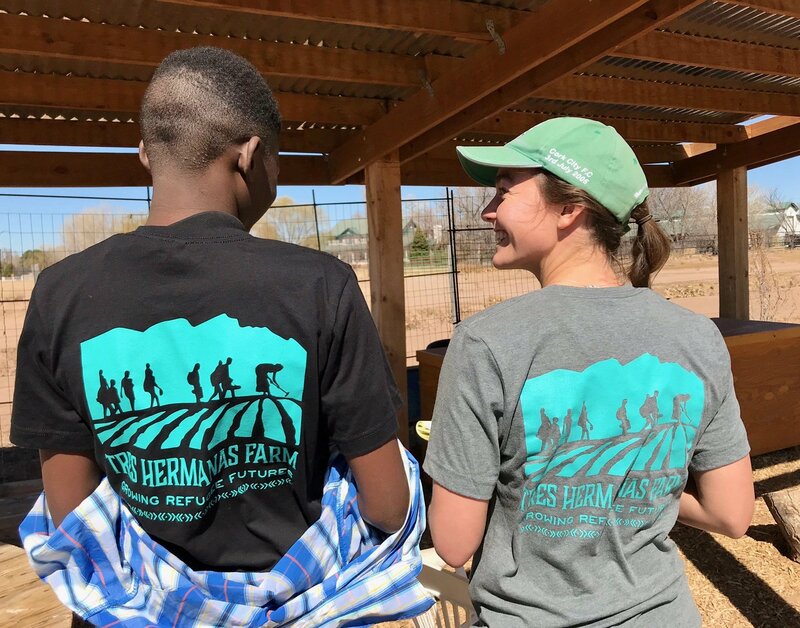 Tres Hermanas Farm is a pesticide-free operation that started as a non-profit in 2016 by Lutheran Family Services Rocky Mountains, which provides refugee services. As part of this service, Zoe works on the farm with 46 clients, including families from Chad, Burundi, and the Congo who manage some of the farm land. Participating households share the harvest, sell the excess at farmers’ markets, and split the proceeds. The farming project also allows the refugees to grow foods they ate in their home countries, but which otherwise would be unavailable from local outlets.